Searching for “crossfit near me” has shown massive intent so well done for getting this far! Every journey has to start somewhere and CrossFit has given inspiration for a new generation of fitness. We have been on that journey, learned a lot, laughed a lot and on the way created long-lasting relationships with our members. However, it was time for us to move on and start the next stage of our journey with OPEX. We are no longer a CrossFit affiliated gym, however, we still have the same community atmosphere and spirit. 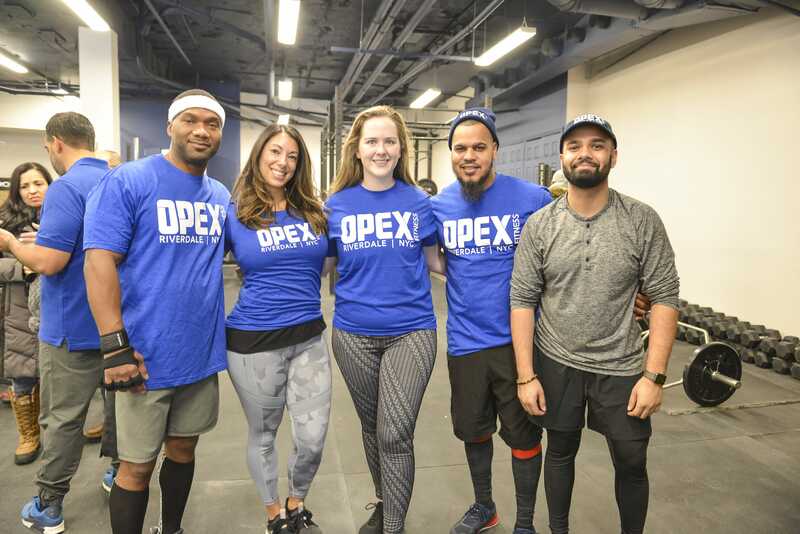 At OPEX Riverdale NYC, you don’t just get fit, you get the best hour of your day surrounded by like-minded individuals you will soon consider as your friends. Here, we live and breathe fitness. We walk the walk, talk the talk and love every minute of it. One class and you’ll see - there’s no other gym in Riverdale that’s so passionate about what they do. Our coaches are constantly improving to be the very best at their craft. They’re always heading out to new seminars, reading the latest research, and earning additional certifications to stay at the very top of their game. No matter what your goals - to lose weight, gain muscle, or just feel phenomenally better in your everyday life - our coaches have all the insight, training and experience to get you there. If you’re looking for CrossFit style training with a personal touch then book onto our free consult today! One of the massive positives of the CrossFit environment is that you get to train in a small group alongside other like-minded people. If you don’t like the normal closed off nature of a normal gym environment then this is definitely for you. The idea of play within our adult lives is quite alien to us but CrossFit brought this out in a novel way. Attempting new movements, the variation in work and the camaraderie that the workout of the day would bring was a massive positive. CrossFit encourages a mix of gymnastics, weightlifting, and monostructural elements (run, bike, swim, row, etc.) into their workouts. While we now have a better understanding of how to implement this in a scientific way, the idea of combining different tasks and making them aerobic in nature gave people a chance to enjoy fitness in a way they had never experienced before. Whether we are talking an individuals goals, training age, current fitness or genetic makeup everyone that came into the gym was different and as such trying to scale or adapt a group workout for each person over time felt like a less than ideal solution to help them get where they wanted to be. What we found historically from coaching 100’s of people is that they would come in and start out and for 18-24 months would absolutely smash it. Every time they lifted the bar they would get a PR, every time they re-attempted a benchmark workout they would beat their old time. However after that time progress would often falter and stall, we now know why but it became frustrating for us within the model that we couldn’t help these people. This is perhaps the most controversial point of all but what we found is that as much as people would push themselves to try a bit harder when working out alongside other people this equally lead to people pushing themselves too far and exposing themselves to injury. It was hard to counter against this for us as Personal Trainers and while there are certainly positives to this in the right environment, we believed on a day to day basis that it was something we wanted to move away from. While relatively unknown as a brand in the NY, OPEX is well known amongst the CrossFit Community as it was founded by the winner of the first games in 2007, James Fitzgerald. At the core of OPEX is the application of the best qualities of CrossFit or as we call it Mixed Modal Training, just applied in a purely individualized and scientific way. We still train together, we still cheer each other on, we still have the same community environment but we have removed the daily competition element from that as we believe that for most people over a lifetime this will serve them better. As we alluded to above we recognized that everyone has very different abilities and aspirations in fitness, as such each member of our gym has their own coach, their own program, their own nutrition, and lifestyle guidance and their own goals. I’m sure you heard the saying ‘you can’t out train a bad diet'.’ This is just the tip of the iceberg. To ensure you get the most out of your time in the gym we need to help you optimize all of the things that can affect this. As a member of OPEX Riverdale NYC, you will get nutrition and lifestyle advice from your Personal Trainer to help you achieve your goals. The steps to become an OPEX Coach are many, and the tests to ensure they are at the desired level are frequent. The culmination of the initial program being a large case study prepared by the Coach assessed and marked by the founder of OPEX himself. This we believe qualifies us to say that we are experts within the fitness industry. Our passion is helping you achieve your goals.